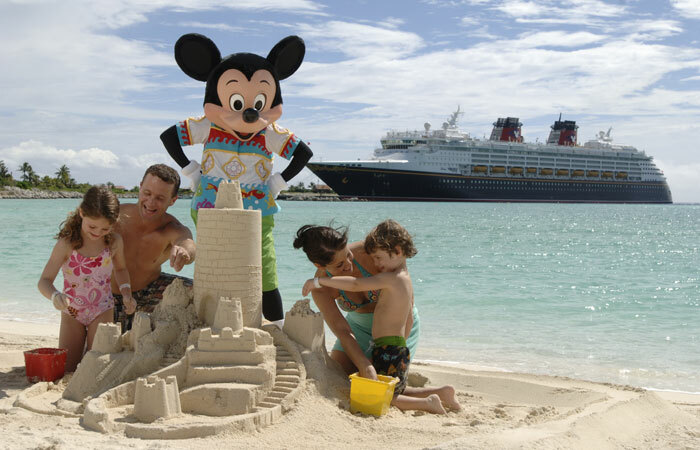 Disney Cruise Line – Don’t miss…Character Greetings! 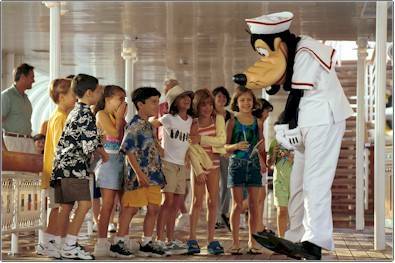 All of Disney Cruise Line’s sailings offer wonderful character meet and greets! If you are used to greeting characters at Disney World or Disneyland, you’ll be pleasantly surprised on the cruise ships how much shorter the lines are and how much more relaxed the greetings feel. The characters have a little more time to spend with each family and sometimes you’ll even run into a character in the lobby, on a deck, walking through hallways, etc. and they are usually great about stopping for a short chat unless they are on their way to a Greeting. Be sure to bring your autograph book or any item you’d like autographed like a t-shirt (not on your body! ), a pillowcase, or even a photo mat. And here’s the tricky thing, try to bring those with you, along with your camera, of course, whenever you are out and about on the ship! You never know who you will run in to! Our family ran into Goofy on the stairs one afternoon and he was thrilled to show my kids how he likes to ride down the handrails on the stairs! You may want to take home a framed picture of your family on formal night with Mickey in his tuxedo or a pic of your kiddos with Jack Sparrow on Castaway Cay so if you forget your camera, cruise photographers are always on hand to snap a pic that you can purchase later on in your cruise. Pics are pricey, but make a really great souvenir! 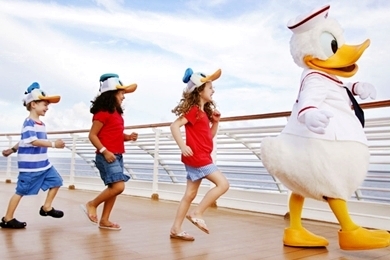 There are lots of reasons to choose a Disney cruise, but character lovers have MANY reasons!! 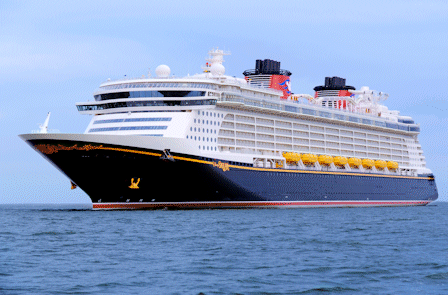 Want some more information on Disney Cruises? Please feel free to send me an email or give me a call. My services are 100% FREE! I recently had the opportunity to take a cruise on the Disney Dream and stop at Castaway Cay, Disney’s private island. With this being my first cruise with Disney I was not sure what to expect when we left the ship and headed toward the beach. First, let me say, that even the island had the service and the quality that you would expect from Disney. The cast members were friendly, the roadways and beaches were extremely clean, and the water was clear. Once off the ship you have the choice to walk to the beaches or to take a trolley. Since we were going to the adults only beach we chose to take the trolley. To get to the adults only beach you had to get off one trolley and get on another one. There were lots of beach chairs and umbrellas once we got to the beach. After just a few minutes on the beach a cast member met with us and asked if we needed anything. They will bring you free drinks (water, tea, soda) or you can use your ship key to pay for other types of drinks. We laid out on the beach for quite a while and then heard a familiar voice from the shore. Jack Sparrow had come to visit the guests on the beach! It was really neat and he was definitely playing the part. He posed for pictures and spoke with all the guests who were interested. I saw pictures from the family beach and there were lots of characters there as well! 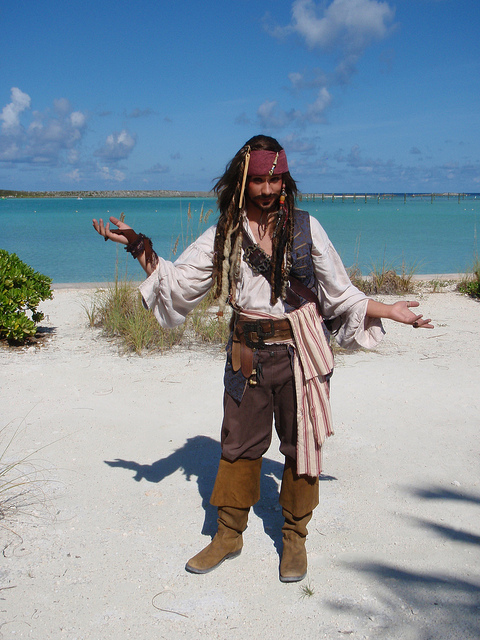 This is just one of the many fun things about Disney’s Castaway Cay! After being beach bums for a while we headed to lunch. Each beach, the family beach and the adults only beach, has a restaurant. The food was awesome and there was a good variety including hot dogs, hamburgers, fruit, chips, and ice cream. It was all you could eat or as little as you could eat. After eating we decided to head back to the ship, but decided first to take a stroll to take in the sites. We did a little shopping along the way. You can use your ship key to purchase your items at all but one store. This particular store has items that you might find in Nassau. I was extremely pleased with our time on Disney’s Castaway Cay. It was laid back and peaceful. I am definitely looking forward to a return trip! 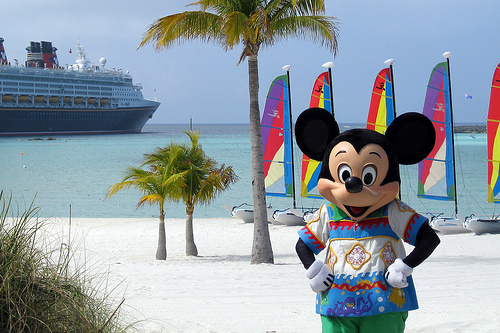 Contact me to learn more about Disney’s Castaway Cay and how I can help with all your Disney Vacation Planning for FREE. Yes, that’s right, my services are 100% FREE! I recently had the opportunity to take a 3 night cruise on the Disney Dream. This was my very first cruise ever and I was a little nervous as to what I would be experiencing. I shouldn’t have worried! From the moment that I walked into the terminal at the port there was no doubt that I was at a Disney property. The terminal was clean, the staff was friendly, and the transition to the ship was seamless. Upon walking onto the ship our names were announced and the crew began to clap. What could make you feel more special?? During our three night cruise we tried to experience all that we could. We took a walk through Nassau, visited the adults only area on Castaway Cay, saw all three shows, and enjoyed our dining rotation with our awesome servers. We shopped, played bingo, met Mickey and Minnie Mouse, saw an awesome firework display, and even got to dance with a pirate. One of my favorite moments of the Disney Dream Cruise was we on Castaway Cay. We were sitting on the beach when all of a sudden we heard movement down by the shore. We looked up and who should we see but Jack Sparrow walking down the beach. People began to flock to him to get their pictures made. He was joking and doing a great job!! I never expected to see a character walk down the adult only beach!! I am so excited to go cruising again, and even have the next one planned. There are so many things to enjoy on the Disney Dream cruise for adults, kids, and families. I can’t wait to do some of the activities that we missed because we learned that there is so much to do you can’t do it all in one short trip!! Contact me to learn all about the Disney Dream cruise and my FREE Disney Vacation Planning services!